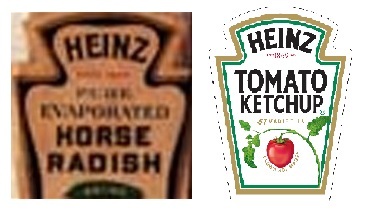 Ten Oldest Company Logos in the World - 24/7 Wall St.
Heinz first hit the market in 1869 when Henry Heinz and L. Clarence Noble used vegetables from the garden of Heinz’s mother to bottle horseradish and sell it in U.S. markets. While Heinz & Noble Co. did not survive the financial panic of 1873, Heinz returned to selling condiments in a big way in 1876 when he introduced ketchup to the American consumer. Since 1876, Heinz has grown to supply more than 5,700 products worldwide. The Heinz logo itself has its roots in the original Heinz & Noble Co. of 1869. In terms of font, size, and shape, very little of the logo has changed since its inception. Last year, Heinz was acquired by Warren Buffett’s Berkshire Hathaway and private equity firm 3G Capital for $28 billion. Prudential introduced its “Rock of Gibraltar” logo in 1896, shortly after the company was founded. The symbol appeared in a weekly newspaper above the words, “The Prudential has the strength of Gibraltar.” According to the company’s website, the rock is an icon of “strength, stability, expertise, and innovation.” Prudential has always been an insurance company, founded by John Fairfield Dryden as the Prudential Friendly Society in 1875. The prominence of the logo has paid off particularly well in international markets, where Prudential shares a name with local unrelated companies. In these cases, Prudential uses the rock logo with the alternative wording to promote its brand. Prudential Financial, Inc. (NYSE: PRU) is now among the world’s largest financial institutions, operating in more than 40 countries around the world. The company reported total revenue of $41.5 billion at the end of last year. Justin Blazer, an engraver by trade, designed the original Peugeot trademark in 1847. The logo, originally depicting a lion standing on an arrow, has undergone some modifications — the arrow, for example has been removed, and the lion has changed its pose. The company itself has undergone more considerable changes. Peugeot was initially founded in 1810 as a steel manufacturer. Before becoming one of the world’s most well-known automakers, Peugeot was in the bicycle business. Peugeot is now known as PSA Peugeot Citroen. Johnson & Johnson (NYSE: JNJ) — the first company in the U.S. to mass-produce and distribute sterile surgical dressings — was founded in New Brunswick, New Jersey in 1886. The distinctive cursive of the “Johnson & Johnson” logo was modelled after founding brother James Wood Johnson’s written signature the next year. The logo continues to be among the world’s most recognizable images. Johnson & Johnson is now a publicly traded company manufacturing a wide range of medical and consumer products. The company’s products are sold in nearly every country in the world. Last year, the company invested between $20 million and $30 million in a global corporate branding campaign, prominently featuring the company’s long-standing script logo.